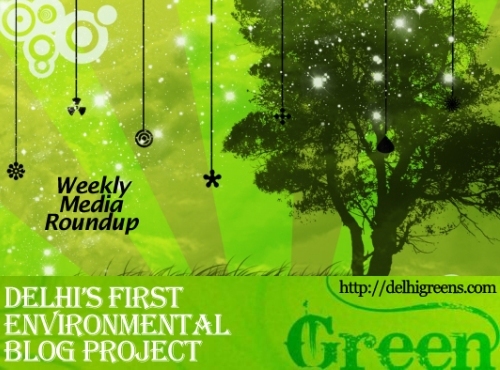 Weekly green news update from across different media networks for week 14 (between April 04 to April 10) 2016. Vehicles ferrying children in school uniform will be exempted from the odd-even rule, said Chief Minister Arvind Kejriwal Saturday. The Delhi government will from Wednesday monitor air quality at the city’s seven main entry points, allowing it to measure the difference in pollution levels when the road-rationing plan returns on April 15. Delhi Transport Minister Gopal Rai on Friday said that to gauge the impact of the second phase of odd-even plan on the capital’s air quality, the state pollution panel will monitor the ambient air quality at 119 locations in and around the city. The National Green Tribunal on Tuesday asked the Central Pollution Control Board to assess the ambient air quality level in the national capital region for the next one week through a joint team comprising the Delhi Pollution Control Committee and the environment ministry. The National Green Tribunal on Monday sought response from Delhi government and Delhi Development Authority on a plea seeking review of its order allowing the Art of Living group’s cultural extravaganza on the Yamuna floodplains in March. An injured peacock was rescued from the Lutyens’ Delhi residence of Union Minister of Minority Affairs Najma Heptullah on Saturday. Eight unauthorised dyeing units in Meethapur area of Delhi have been sealed for allegedly polluting nearby localities through discharge of contaminated water, the SDMC today said. The Environment Ministry has notified rules making it incumbent on a wide variety of groups — hotels, residential colonies, large bulk producers of consumer goods, ports, railway stations, airports and pilgrimage spots — to ensure that the solid waste generated in their facilities are treated and recycled. The National Green Tribunal Friday directed the Delhi Jal Board to furnish the expenditure plan under the current budget on the Yamuna pertaining to the water and sewage sector. Multiplicity of authorities is one of the main reasons that killed Delhi’s water bodies. The Indian Express launched an investigative series called ‘Death by Breath’ on Delhi’s air quality last year on March 31. In a gross violation of the National Green Tribunal orders banning burning of any type of waste in the open in the National Capital Region, waste is being openly dumped and burnt in the city, causing health and environmental hazards. In what’s good news for nature lovers, Sanjay Gandhi National Park is offering them an option to explore three of its popular nature trails using a smartphone-based application.